JM Performance products and the reshoring initiative® provide “q&a” analysis of intangibles on turning the tide on this evolving issue. North America’s $137 billion metalforming industry is driven by the production of a myriad of precision metal products using stamping, fabricating, spinning, slide forming and roll forming technologies, as well as vital value-added processes. In recent decades, approximately 3-to-4 million of all U.S. manufacturing jobs have been cumulatively lost to offshoring. The tide seems to be turning modestly in recent years by companies returning U.S. production, or sourcing, from offshore. In comparison to 2000-2003, when the United States lost (net) about 220,000 manufacturing jobs per year to offshoring, 2016 achieved a net gain of 27,000. Progressively bridging this gap presents huge collaborative opportunities and challenges to all associated manufacturers, associations, employees, communities, and the U.S. government itself. The following is a “Q&A” briefing analysis of key factors in the collective goal of gaining momentum in successfully returning the manufacturing of parts or products back to the U.S. from offshore. 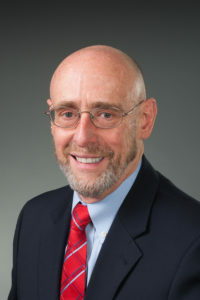 Participating in this “return-manufacturing-home” Q&A are two representative entities with vested interest on the subject− JM Performance Products, Inc. (JMPP: Fairport Harbor, OH) President, John Stoneback, and the Reshoring Initiative® (RI: Kildeer, Illinois) President, Harry Moser. 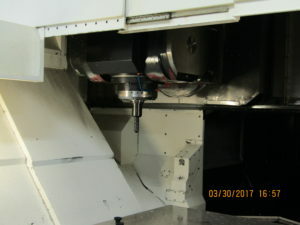 JM Performance Products, Inc. is a leading manufacturing innovator of CNC mill spindle optimization products since 2009. Their Patented High Torque Retention Knobs overcome a critical “loose-tool” design flaw inherent in CNC v-flange tooling that was responsible for costly CNC milling and boring issues industry wide−in terms of production, time, and tooling. An essential element of the patented design is a knob that is longer and reaches a little deeper into the holder’s threaded bore. 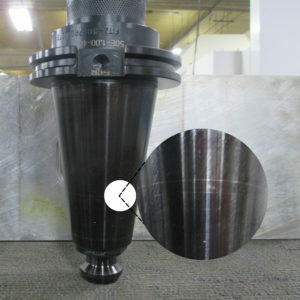 As a result, all thread engagement occurs in a region of the toolholder where the diameter is large, and where there is correspondingly more material to resist deformation. The Reshoring Initiative, founded in early 2010, takes action by helping manufacturers realize that local production, in some cases, reduces their total cost of ownership of purchased parts and tooling. The RI also trains suppliers how to effectively meet the needs of their local customers−giving the suppliers the tools to sell against lower priced offshore competitors. The RI is a nonprofit organization that offers a number of free tools to advance their mission. The machine capital cost is relatively the same in all countries, both Stoneback and Moser agree that the keydriving variable has always been cheap labor overseas−which drives a low part cost benefit. How To Encourage Domestic Manufacturing To Reshore? “The simple fact is that there are always three key benefits in reshoring: cost, time, and insurance,” says Stoneback. 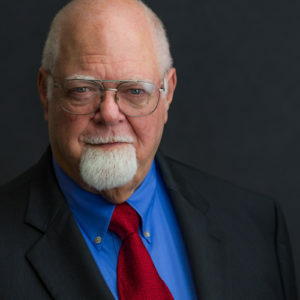 “Maybe even a fourth factor−inventory and space logistics. Those factors are so small to consider if you’re manufacturing in the U.S., that you can do the math in your head as it’s a simple cost analysis. Moser believes reducing labor hours is most important. 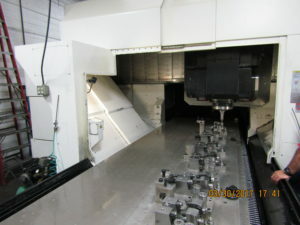 Established in 1966, JM Performance Products, Inc. (JMPP) has firmly established itself as a leading manufacturer of CNC mill spindle optimization products. Across a myriad of markets, JMPP is dedicated to reshoring with over 500 styles of patented Retention Knobs for BT, DIN, ISO, and CAT toolholders from 30 taper to 60 taper−all manufactured and material sourced in the United States! All products are engineered to optimize milling machine performance including: improving finishes, eliminating run-out, reducing chatter and harmonics, decreasing set-up times, extending tool life, and increasing spindle performance.